Spicejet has decided to shift 22 flights serving these seven sectors from T1 to T2 while all other domestic flights will continue to operate from T1. 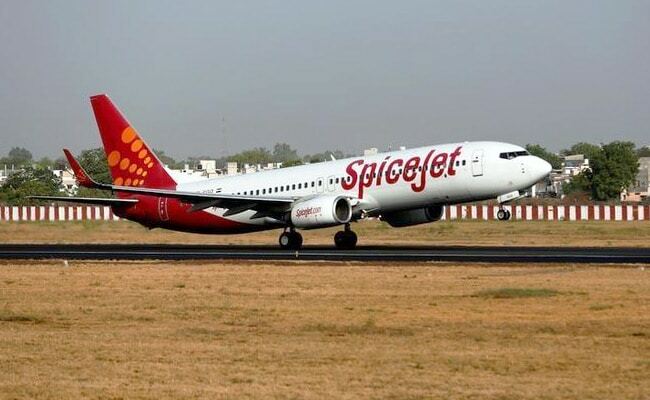 New Delhi: Passengers travelling with SpiceJet from Delhi to seven sectors including Ahmedabad, Patna, Pune and Goa will have to board from Terminal 2 of IGI airport from March 25 onwards. The airline has decided to shift 22 flights serving these seven sectors from T1 to T2 while all the remaining domestic flights will continue to operate from T1. The three other sectors are Kochi, Surat and Gorakhpur. The shifting of operations is to enable expansion work in T1 and strengthening of infrastructure. "SpiceJet will shift 22 flights serving seven domestic sectors from Terminal 1 (T1) of the Indira Gandhi International airport to Terminal 2 (T2) with effect from 25th March, 2018. All remaining domestic flights will continue to operate from Terminal 1," the airline said in a statement on Thursday. The announcement comes as GoAir has completely shifted to the new revamped terminal and IndiGo also deciding to partially shift operations to the new terminal. For easier identification of passengers and to facilitate smooth operation, SpiceJet has programmed all the new flights operating to and from T2 with a four-digit flight number starting with number '8', such as SG 8913. The statement further added that bus services would be provided between the terminals to ferry the transit passengers and for those who have arrived at the wrong terminal. "All communication mediums have been activated to keep the passengers travelling from T2 informed about the change of terminal," the statement said. While GoAir had already decided to shift operations to T2, SpiceJet and Indigo decided to follow suit for partial shifting after the the Supreme Court last month dismissed IndiGo's plea challenging a Delhi High Court order on shifting operations from T1 to T2. According to DIAL, passenger area for the flyers of three airlines - IndiGo, SpiceJet and GoAir - will increase from the current 25,917 sqm at T1 to combined 62,010 sqm. T2 has additional 36,093 sqm passenger area.